We all have bad habits - we drink coffee in the morning; soda in the afternoon; and tea at night. These drinks might taste great and help our energy levels, but they are wreaking havoc on your smile without you even realizing it. The damage does not occur overnight; it takes time to accumulate, but you will suddenly see discoloration that you cannot just brush away. If the damage has already occurred, you may be in need of some dental restorations or teeth whitening to perfect your smile. Even if the damage has not occurred as of yet, now is the perfect time to switch your drinks and get your oral health back on track. Dark colored drinks, whether coffee, tea, or soda have pigments in them; these pigments find a way to stay on your teeth. Upon close inspection of the enamel of your teeth you might swear that they are smooth, but there are ridges that the drink's pigments like to hide in and cause damage. As stated before, small amounts of the pigment will likely not do very much damage, especially if you brush your teeth regularly, but if you do not practice proper oral hygiene and have a consistent habit of consuming these drinks, the pigments build up and the discoloration begins. 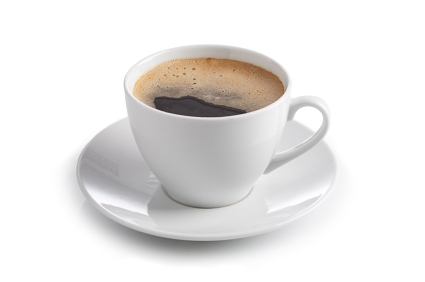 Another damaging effect of coffee, tea, and soda is the acidic nature of these drinks. Acid is the bane of your teeth's existence. Too much acid and your enamel can be worn away, which makes it much easier for your teeth to stain. It also allows tooth decay and gum disease to begin to form. To make matters worse, acids and sugars love to work together to really work a number on your teeth, putting you at even higher risk for these issues with your teeth. This means on top of a discolored smile, you could have to deal with decay, receding gums, and even tooth loss if the issues are not quickly resolved. The good news is that there are ways to start saving your smile from dark colored drinks today. The first step is to change your habits. This might not be easy, but may be necessary if you consume them in excessive amounts. If you cannot stop consuming these drinks altogether, at the very least minimize the consumption and time it so that you can also have a glass of water immediately following. This will enable you to rinse your teeth of the harmful acids and dark colored pigments right away, not giving them a chance to settle on your teeth. In addition, if you are able to brush your teeth 30 minutes after consuming these drinks, you will better your oral health even further. If you are unable to give up the drinks or the damage has already occurred, there are steps we can take in the office to help with your smile. Sometimes professional teeth whitening is enough to eliminate the yellowing that has occurred and bring back your pearly whites. If that is not sufficient, we have the option of using dental veneers or dental bonding as a non-invasive method to provide you with perfectly white teeth that are not embarrassing for you. These procedures simply lay either porcelain or a bonding material over your enamel, giving you a white smile once again. The key to keeping these overlays white, however, is giving up your dark colored drink habit. If you are worried about your smile, please contact us! We will help you determine the proper method to get your smile back once and for all!